So maybe you have this friend. Maybe it's a guy you went to college with. Maybe you played football with this friend in college. You're close with this friend. But then say that this friend of yours gets into some trouble. Like, say he's accused of executing someone who may have had knowledge of your role in a double murder a year ago, and he goes and gets this guy and executes him in the most haphazard and careless way possible, then goes to great lengths to cover his tracks in a way that makes it look like he's a dumbass trying to cover his tracks after murdering someone, then admits to another person that he personally committed the murder. Say this dude is ridiculously, outrageously guilty and, in certain states, would face the death penalty if convicted. Oh man. Your friend just killed between one and three people. How do you react to that? 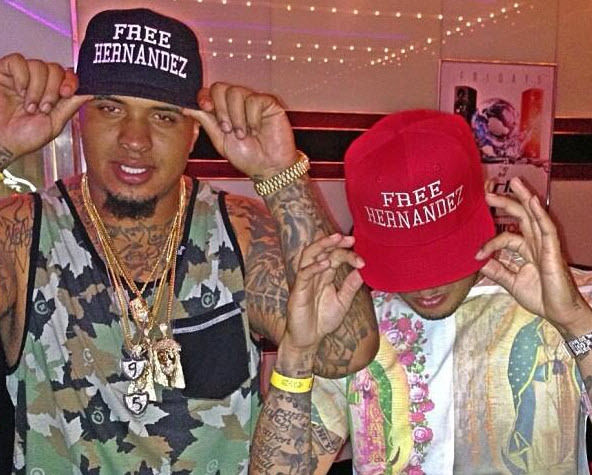 If you're a Pouncey, you do it in the most tasteless way possible. LET AARON HERNANDEZ OUT OF JAIL! INNOCENT UNTIL PROVEN GUILTY! FLIGHT RISK? WHERE'S HE GONNA GO? HE'S SO FAMOUS THAT HE CAN'T POSSIBLY GO ANYWHERE WITHOUT, LIKE, EVERYONE NOTICING. AND EVEN IF HE'S GUILTY, HE TOTALLY FEELS BAD AND HAS LEARNED HIS LESSON SO HE DEFINITELY WON'T MURDER ANY OTHER PEOPLE. 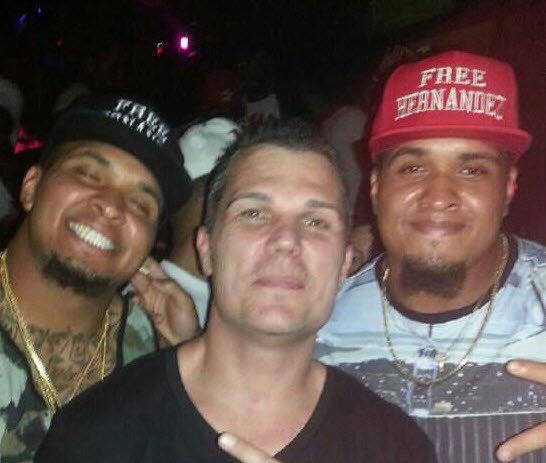 In January of last year, after the Steelers lost an opening-round playoff game to Tim Tebow on the first play of overtime, Maurkice Pouncey, who didn't play in the game, decided it'd be a good time to get on Twitter and start plugging his buddy's album. Steelers fans who followed Pouncey on Twitter were understandably upset that Pouncey himself wasn't upset at his team completely failing to show up in a playoff game, and...well, things got heated. For calling him out, our Twitter account was among those Pouncey blocked that evening.